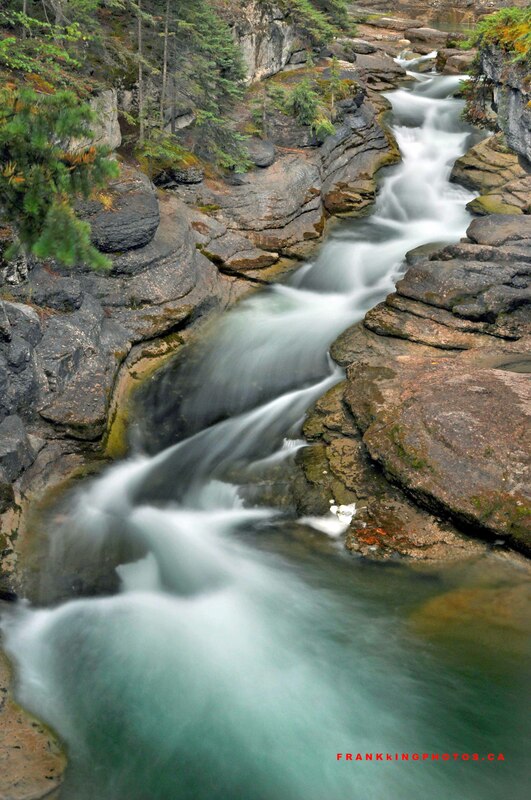 I could spend an entire day exploring this amazing natural attraction in the Canadian Rocky Mountains. At some points, the canyon is 50 metres deep, which means there are lots of glorious waterfalls. You can walk from top to bottom, crossing four or five bridges along the way. Nikon D90, tripod, polarizing filter (which was crucial to bring out the white water sections). Wonderful long exposure Frank! I like the composition you chose too. This waterfall is indeed amazing ! I love the turquoise colour in the pool, it’s gorgeous !